The success of the biomanufacturing industry relies on its ability to attract and retain a well-trained and motivated workforce that can adapt to new technologies and manufacturing challenges. Yet despite the criticality of workforce education, it never has been a hugely popular topic at conferences and in trade journals. 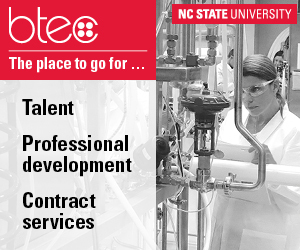 Jointly, BPI and North Carolina State University’s Biomanufacturing Training and Education Center (BTEC) recognized this void, and began a partnership focused on generating an increased level of attention and discussion on professional development in the biopharmaceutical industry. This supplement is one such effort. Although the motivators, stakeholders, and end goals vary by learning endeavor, a robust training program relies on a variety of training resources: strong internal training programs on both quality and current good manufacturing practice (CGMP) and manufacturing/technical topics; industry-specific training centers; universities, community colleges, and professional societies; and the industry’s large number of suppliers. 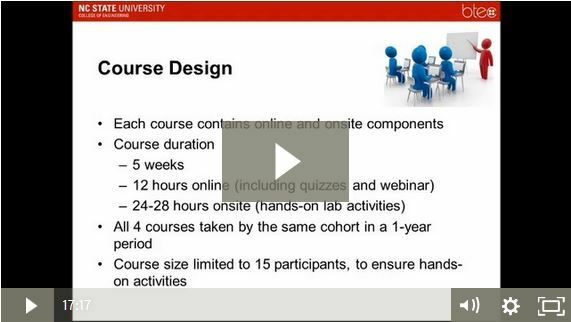 How do you structure a training program that takes into account individual learning styles and operational expertise? How do you measure the successful application of training to performance? As a manager, how can you confirm that reading training materials has truly led to required levels of understanding within your group? Successful training approaches enable end-users, organizations, and suppliers to share needed equipment and expertise. 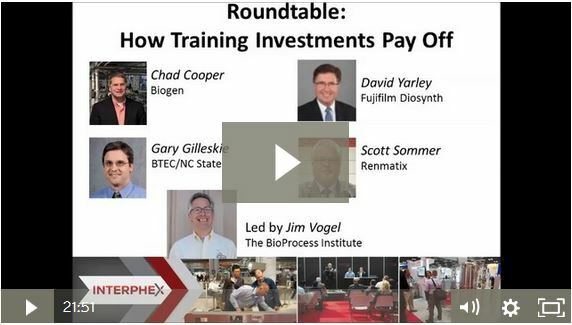 To shed light on the value of training investments, this virtual roundtable format brings together a group of recognized learning, development, and business thought leaders within the biopharmaceutical manufacturing industry. In today’s globally competitive job market, developing a workforce pipeline for the bioprocess industry requires academic programs that equip students with knowledge, skills, and theory surrounding the equipment, methodologies, processes, and regulatory requirements specific to it.